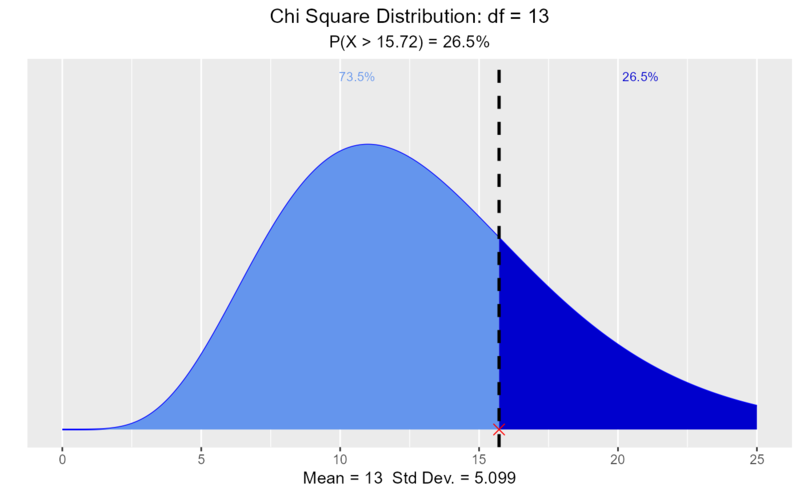 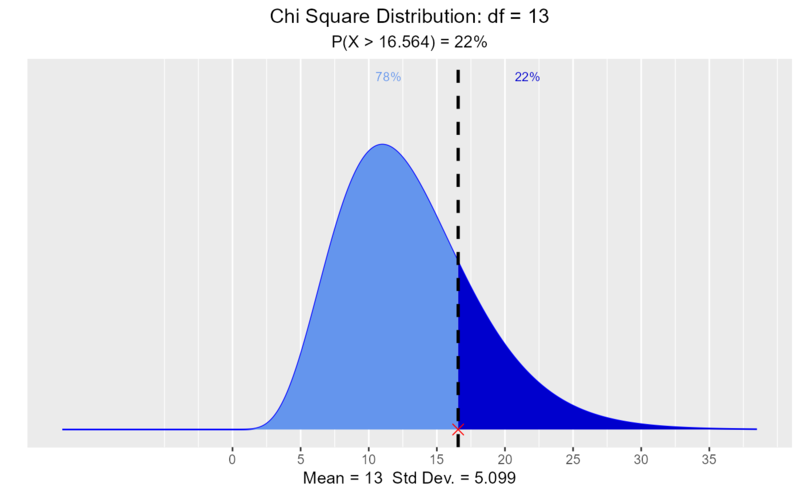 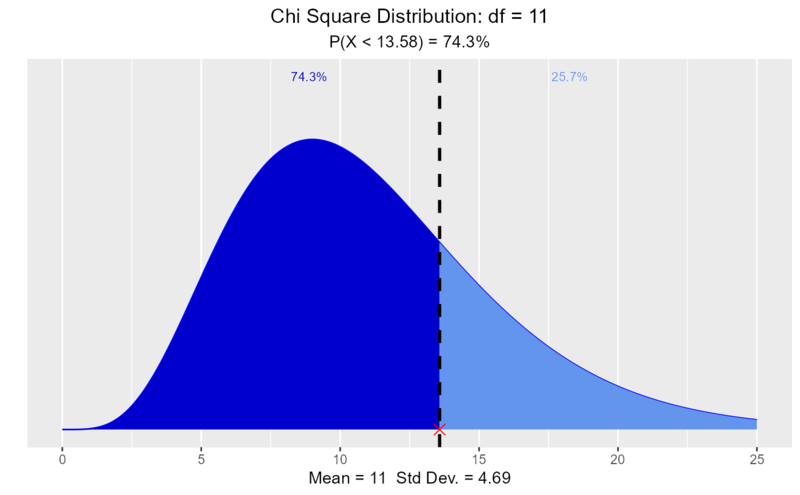 Visualize how changes in degrees of freedom affect the shape of the chi square distribution. 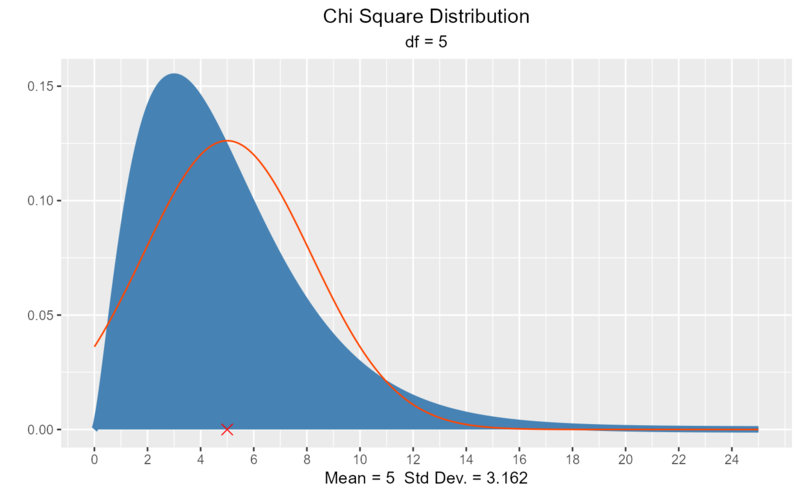 Compute & visualize quantiles out of given probability and probability from a given quantile. 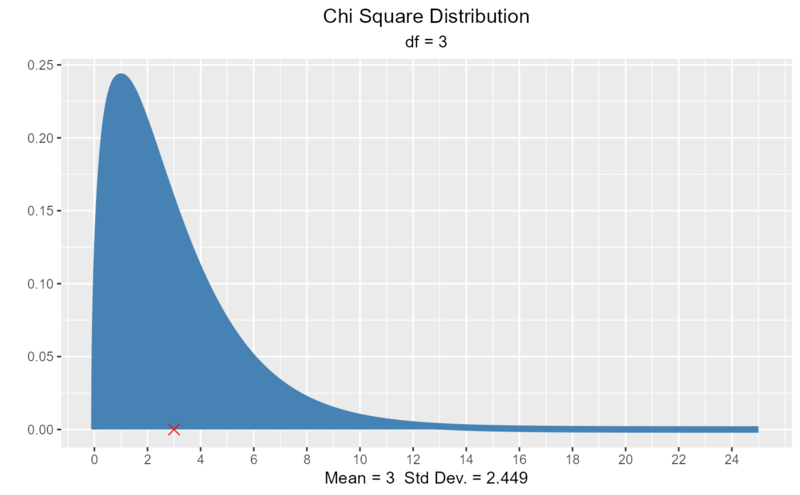 If TRUE, normal curve with same mean and sd as the chi square distribution is drawn. 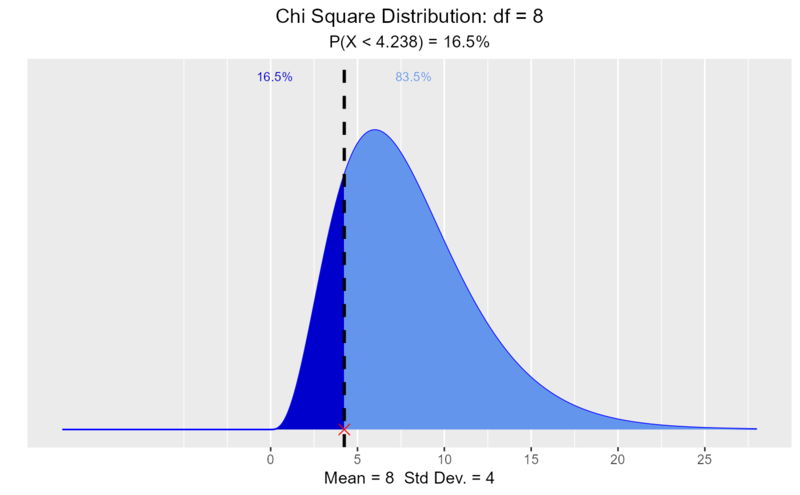 # visualize probability from a given quantile.